Iâ€™m busy this week preparing for the womenâ€™s real estate investing retreat and also helping my husband with his birthday bash coming up this Saturday. Seems there is always something to do, but such is life. I am hoping my four year old son gets a good report at school today, for some reason he has been in trouble the last 3 days in a row, which is odd for him. He is on punishment all week as a result and he will not be allowed to go to Disney with his granddad on Saturday if I get one more bad report. So cross your fingers I do not get anymore horrible reports! KIDS! My husband is at one of his mastermind groups this week with Yanik Silver. He attends with many of the top internet marketers in the world like Perry Belcher and Ryan Deiss. I know that when I attend these mastermind with my husband I walk away with the latest and greatest strategies in the industry. People like Perry and Ryan are so forth-coming with their knowledge and always very helpful. The same thing applies when I attend my own mastermind with Ali Brown, she too is a wealth of knowledge and always goes above and beyond to assist. Are you familiar with the power of the mastermind? Mastermind groups bring together the best and brightest from all industries and together they share what is working and what is not working. Imagine being coached by 20 ultra-successful people at one time and having them give you ways to tackle your business challenges based on their own experiences. There is not one big name person I know from ANY industry that does not belong to a mastermind group and is not being coached and mentored. It is what separates the very successful people from others. I know it has been the reason for my own success and the ROI from being in these elite groups is to the 20th power! I know from all the emails I receive that many women have problems finding mentors or masterminds to belong to. A couple of tipsâ€¦.Find mentors who have a history of success that are known by other people. Mentors should have something you want or are trying to attain. That is what makes you look up to them in the first place. There is nothing worse than someone pretending to be a â€œknow it allâ€�, when behind the scenes they have nothing themselves and do not practice what they preach. There are a lot of them out there, so do your homework. Another problem is women not finding people within their own circle who are on the same page! Working a 9-5 job is very different from being a business owner or entrepreneur. The mind-set is very different and itâ€™s hard to communicate entrepreneurial ideas to people who are not entrepreneurs. So many people in business for themselves feel left out with nobody to talk to who understands them. This is another reason masterminds are so important. 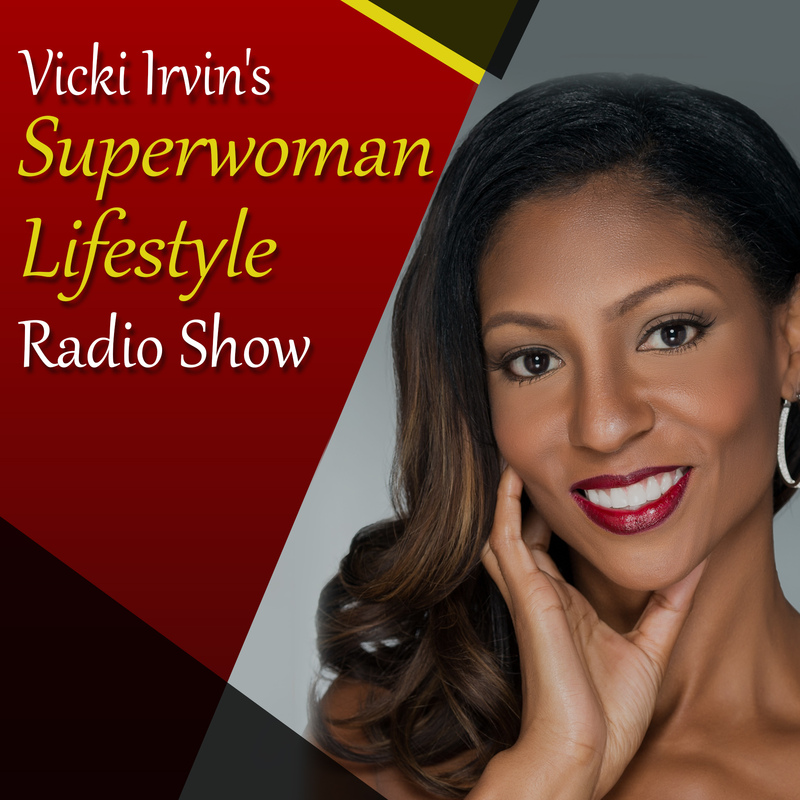 If you need coaching or mentoring for your business, send an email to Vicki@superwomanlifestyle.com to inquire. Man! I pulled my neck today lifting weights in the gym, but I think it is minor. I got a little nuts today because I missed a couple days in the gym. Whenever I do not work out, I panic and try to make up for it. It takes 21 days to make or break a habit and working out is definitely a habit with me. I must confess that I have a hard time seeing results in the mirror. Everyone else can see results, but for some reason I canâ€™t see it. I lift weights and people talk about the muscles in my arms all the time, but I canâ€™t see it. I talked to a couple of girlfriends and they said the same thing, they canâ€™t see their results, even though I can. I think that is a common issue with women. We work hard, but our image never matches reality! Donâ€™t be discouraged by this. Find a pair of pants you canâ€™t fit anymore and use them as your benchmark or goal. Make it your goal to fit into that one particular pair of pants again. This provides the proof of your hard work. Another good indicator of progress is pictures. Take before and after pictures, they will definitely be revealing! Are you a person who works out better alone, with a friend, group or trainer. Do you like being in the gym or at home? Do you prefer to run outside or on a treadmill? Do you like to rollerblade or ride bikes? Itâ€™s important you determine what you like the most in order to keep you motivated. You wonâ€™t stick to a routine if you do not like your environment. So if you have been having trouble staying true to your fitness goals, think about what you like best and tailor your work outs accordingly. Anyone expecting more than that from you can GO FLY A KITE! Say it with meâ€¦GO FLY A KITE! Vicki Irvin formerly a human resources executive, quit her 9-5 job to become a real estate investor. She created a multi-million dollar real estate coaching business in 12 months by applying marketing strategies and techniques that many have never even heard of. After being asked by women nationally how she managed to build and juggle a successful business, tend to her family and stay in such great shape, she decided to teach her blueprint for balance to other women through Superwoman Lifestyle.